In Arunachal Pradesh many kinds of wild tea are cultivated and also purple tea is one of them. It was previously believed that it originates from Kenya, however in 2015, Tocklai Tea Research Institute performed some research and published saying that this tea is originally grown in Assam. It takes around 10,000 tea leaves to make 1 kg of purple tea. Manoj Kumar and Pankai Wangtan, who work for Donyi Polo Tea Estate, led additionally investigate and conducted that it likewise developed in parts of Arunachal Pradesh. The most attractive thing in this tea is it’s purple color. The plant from which this tea is made contains high levels of flavonoid called anthocyanin which gives the leaves its color and furthermore releases anti oxidants which have health benefits. 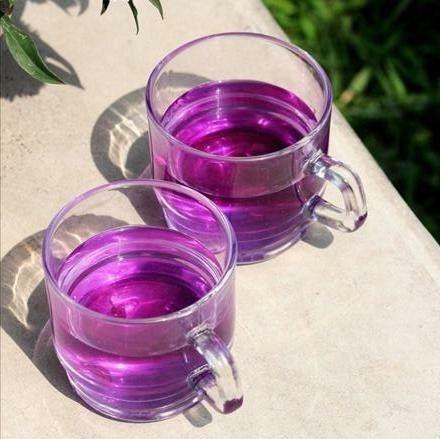 This purple tea was additionally sold to Dugar Cosmetic Products at a huge cost of Rs 24,501 for every kg.